One of the day trips we took this summer was to Las Médulas, a UNESCO World Heritage site in the province of León in Castile-Leon. Las Médulas was one of the most important hydraulic gold mines of the Roman Empire, dating back to the first century AD. According to the UNESCO site, in order to to extract the gold, the Romans built seven aqueducts which pulled the nearby rivers down into the mine, burying the area underwater. According to Pliny the Elder, 20,000 Roman pounds of gold were extracted from the area every year. This required the work of about 60,000 free laborers; not slaves. The Roman military oversaw the construction of the aqueducts and roads. 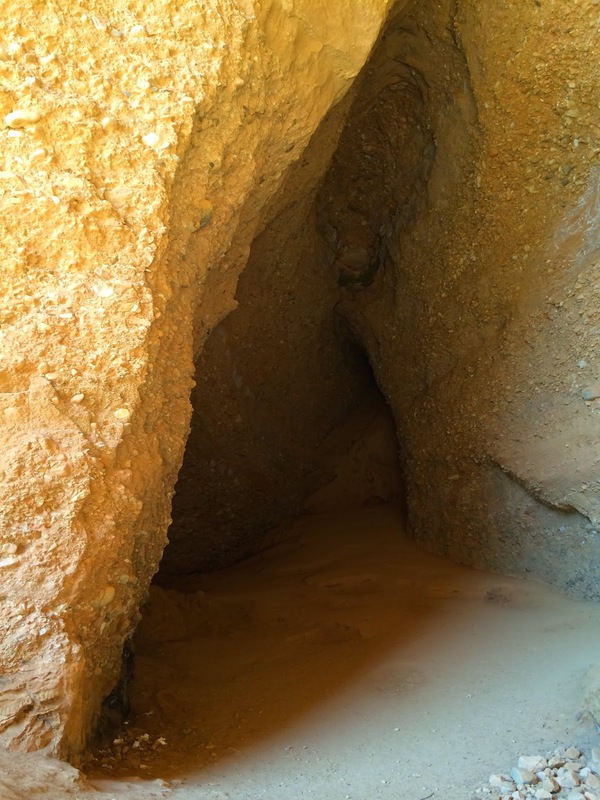 The mines were abandoned after about 250 years, but by then, had about 5 million pounds of gold extracted. 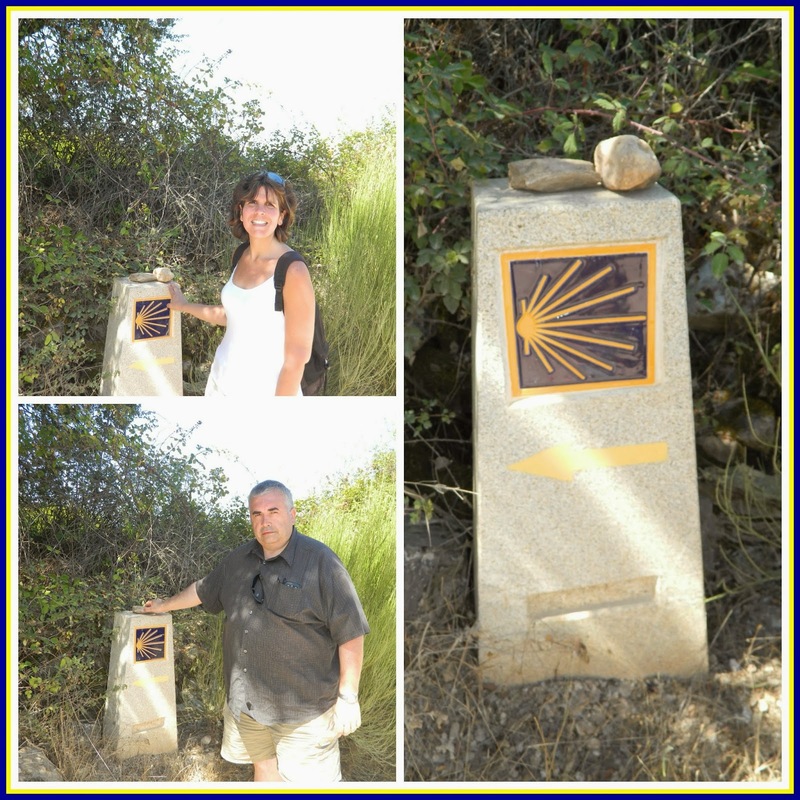 The area around Las Médulas is part of the Camino de Santiago. We saw the markers, but no pilgrims that day. The views were worth the hike. Have you visited UNESCO World Heritage Sites? Which are your favorites? How gorgeous! Looks like a wonderful place to visit! Thanks for sharing! It was a beautiful day in a beautiful place. Thank you for stopping by, Sheena. What history! Looks like a gorgeous place. Can't believe it took they took that much gold out! Wow. I know...it's amazing to think that the Romans (and Spaniards) were able to do so much without the "creature comforts" and technology we have today. Impressive, for sure. Stunning! I hope to make it there someday. It was a beautiful day in a beautiful place. Spain has so much to see and do. There is always a new place to explore. I hope you get the chance someday as well. Thank you for stopping by, Lara. Lovely place that I've never heard of until now, but now I feel compelled to add it to our Spain board, since we do love Spain, just haven't been to the northeast yet. Some time, if you're back in the "neighborhood" go to Alobaca, Batalha, and Tomar monasteries in Portugal. All are on the UNESCO list, and all are pretty amazing. I'd refer you to my blog post about them, but I haven't written one yet. :) So far I only have one about the Morrish Castle further down south in Sintra. This is halfway from Madrid to Galicia, in the Northwest. We go to Spain every year and will live there soon. I will talk with my husband about your recommendations...thank you so much. :-) And thank you for stopping by! What a cool place! I'd love to see this in person. It is beautiful, Lauren. I hope you do get to see it in person one day. :-) Thank you for stopping by!